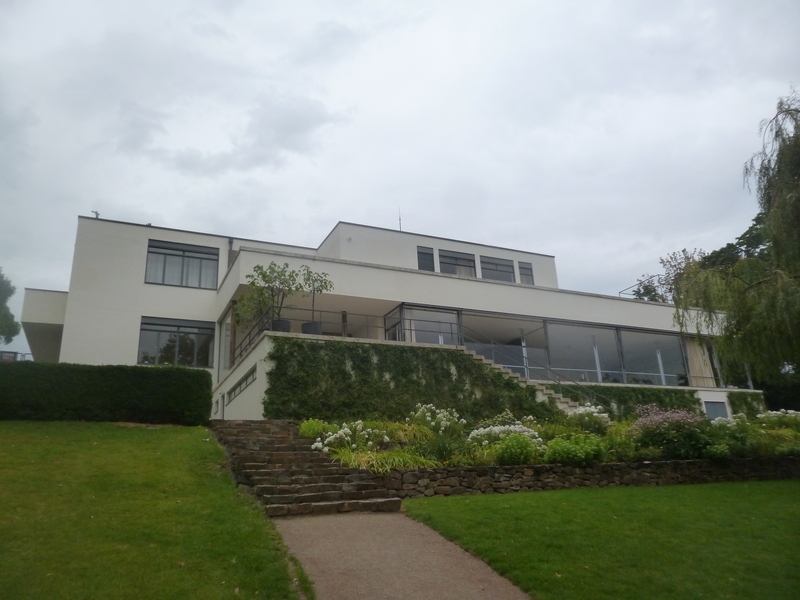 The description of the Villa Landauer – and of its creation – in the novel seem to be exactly those of the Villa Tugendhat. We marvelled at the onyx wall, the wall of glass and its mechanism for being moved up and down, and the wonderful views through it of Brno’s Castle – all of which feature prominently in the novel. Mies van der Rohe forbade the house’s first occupants from putting anything on the walls, as does the novel’s architect, Rainer von Abt, as ornament was a crime: our guide gleefully showed us the room where the Tugendhats hid their pictures when Mies van der Rohe came to visit. Simon Mawer has thus written his novel about the real house: it’s even set on the Villa’s actual street, Černopolní. The stories of the occupants are rather more fictionalised, though not always drastically so. So, writers, this is what you can do with location! My wife and I were thrilled by our visit to the Villa. The novel had inspired us to go, and our visit made the novel even more memorable for us. You can visit the Villa but you are advised to book at least two months in advance (see http://www.tugendhat.eu/en/). Guided tours in English are available, and well worth it. The young lady who took us round was clearly in love with the building herself!